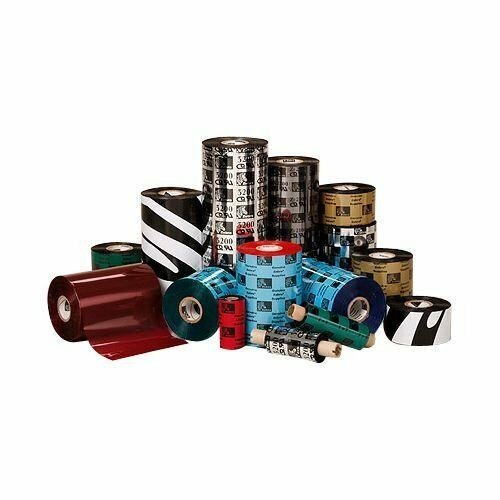 Zebra 4.33 x 1476ft Black Wax/Resin Ribbon - 1 inch Core Qty: 6 A special ink formulation for use with Zebra thermal transfer printers. Provides outstanding barcode print quality. Chemical resistant when printed on Zebra paper and synthetic label stocks. Smear-and scratch-resistant, this ribbon offers excellent staying power and durability in harsh environments. UL recognized and CSA component acceptable when used with Zebra approved labels. A special ink formulation for use with Zebra thermal transfer printers. Provides outstanding barcode print quality. Chemical resistant when printed on Zebra paper and synthetic label stocks. Smear-and scratch-resistant, this ribbon offers excellent staying power and durability in harsh environments. UL recognized and CSA component acceptable when used with Zebra approved labels.